For those of you that want a quicker turnaround than regular mail, we have our CampInTouch email system. Using your CampInTouch account, you can send an email to your camper. We will print those emails each morning and deliver them to the campers at lunch each day. You can request to have your camper respond to your email, which will come in the form of a scanned attachment to your e-mail inbox. 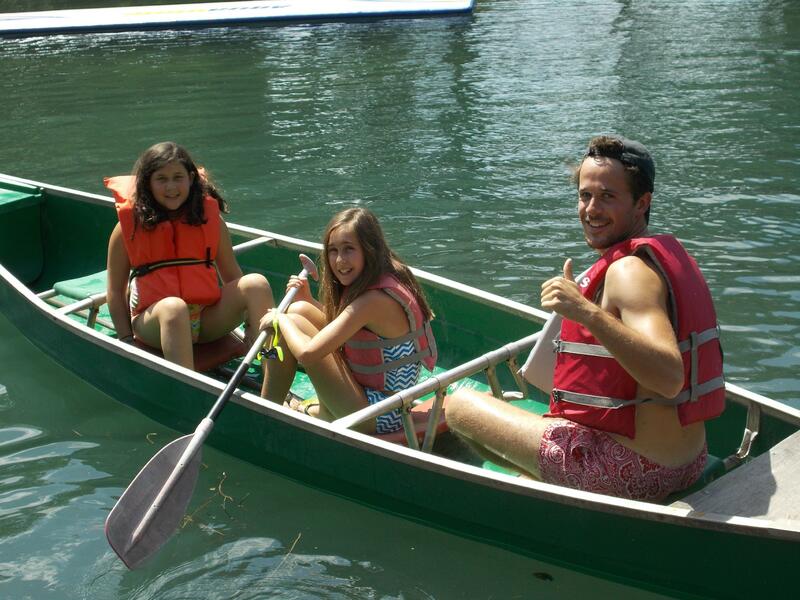 Through this online system, you can easily access and purchase summer camp stamps in order to e-mail your camper. Please note: This system is optional, and does cost money. How do I use CampInTouch to send an email to my camper & receive responses? Sign into MY CYJ ACCOUNT by visiting: www.cyjtexas.org/mycyj. Scroll down to "YOUR ACCOUNT" and purchase Camp Stamps. You can use them yourself or send them to other users in your family. Scroll down to "ONLINE COMMUNITY" and select “Email." Type your message, and “Send.” Our system uses simple text, nothing fancy and no special formatting. 1. You can pre-print stationary from your CampInTouch account before your child leaves for Camp. With this option, you will not be charged for the response letter until the response is sent back to you. 2. When you write an email to your camper during the camp session, you can select “I would like a handwritten reply to this email.” This will send your email with a barcode page attached to your camper’s response note. If you plan to use CampInTouch’s email system, be sure to explain this process to your camper before they leave so they’ll be sure to fill out their response letters. Please try not to send more than one letter per day. Your child will be having a blast at camp and might not have time to send back multiple letters at once. We scan your campers' responses and they go directly to your inbox in CampInTouch. You will receive an email notification when you have mail. Certainly! Once you have set up your account, you will be able to invite other people to access these services. You can even share the camp stamps you purchase with your favorite relatives. E-mails are printed every morning by 10:00 a.m. Any e-mails sent after 10:00 a.m. may be delivered to your camper the following day. Want to send old-fashioned letters in the mail? Kids love mail no matter how you send it! What about packages? We have VERY specific rules about packages, so read up before you send anything to camp.